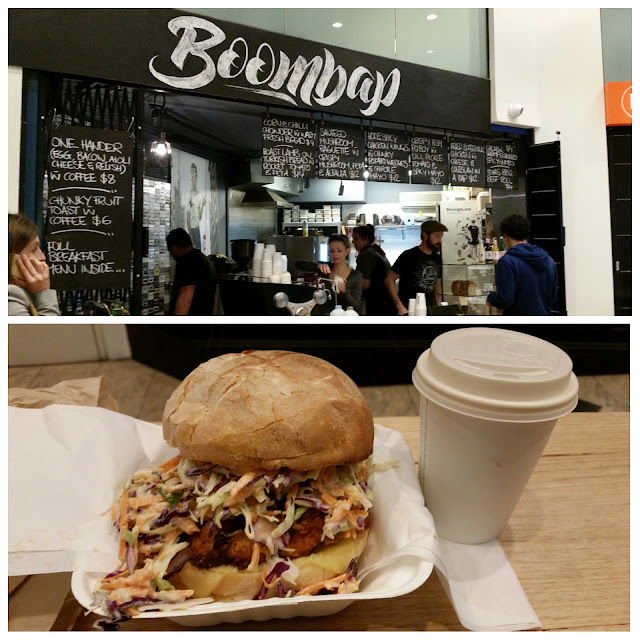 Tucked away on the ground floor inside the Exchange Tower on Little Collins Street, Boombap is a hole-in-the-wall kind of place. 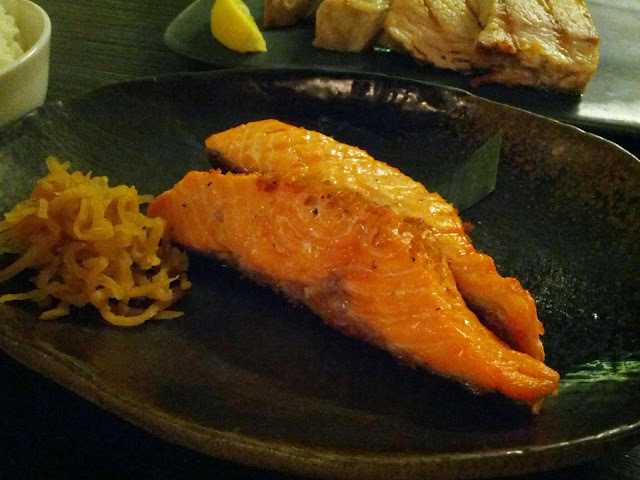 But its size is very much disproportionate to the flavours they pack into the food they serve. 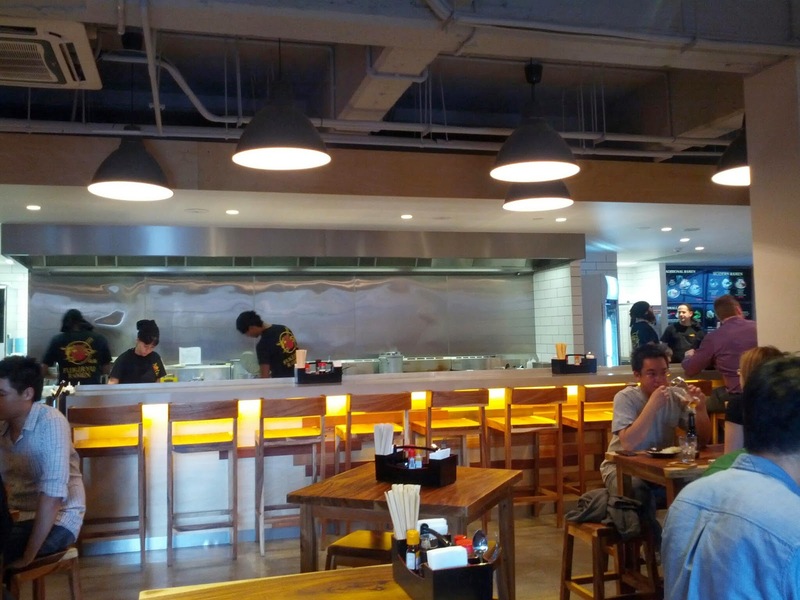 The storefront is welcoming and has a definite street-food feel about it. 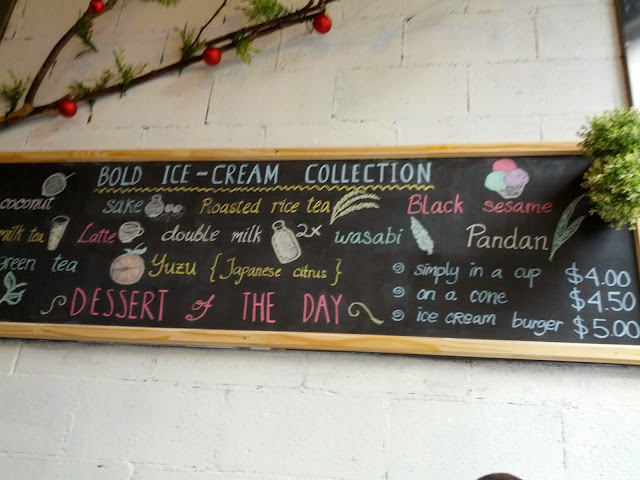 Menu items are handwritten on chalkboards above the counter and along the top of one of the back walls (which is also lined with cassette tapes). While there isn't a fixed menu, I'm told there are three regular items - the buttermilk fried chicken & coleslaw bap, the gumbo, and the Texas BBQ beef roll (previously, the philly cheesesteak). Today's menu features crispy fish po'boy, sauteed mushroom baguette, corn & chilli chowder and hot & spicy chicken wings amongst other soul food classics. I order a buttermilk fried chicken bap and an iced mocha and seat myself on one of the four seats available to dine-in customers (limited seating doesn't seem to be a problem as most people order to go). The bap arrives in a brown paper bag, and it's huge! The bap is overflowing with crispy pieces of fried chicken and plenty of coleslaw that makes the whole thing taste healthy! Bonus points to these guys for serving this in a little polystyrene box to catch all the bits that fall out. The iced mocha is nice and refreshing - not too sweet and without the mounds of whipped cream that usually make an iced mocha sickeningly rich. 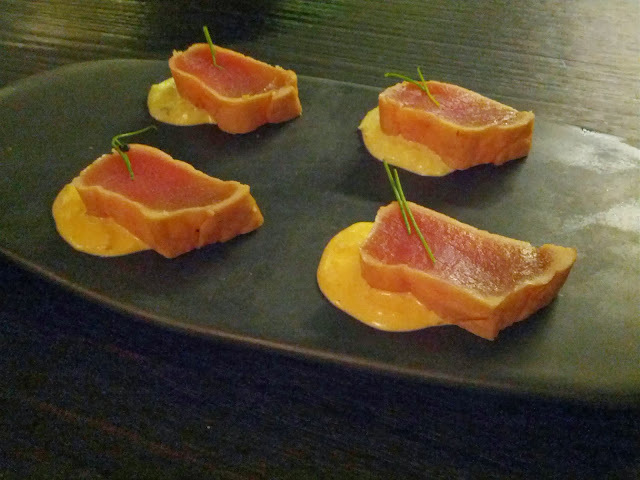 Amazing food and excellent service. A very pleasant start to my day off! 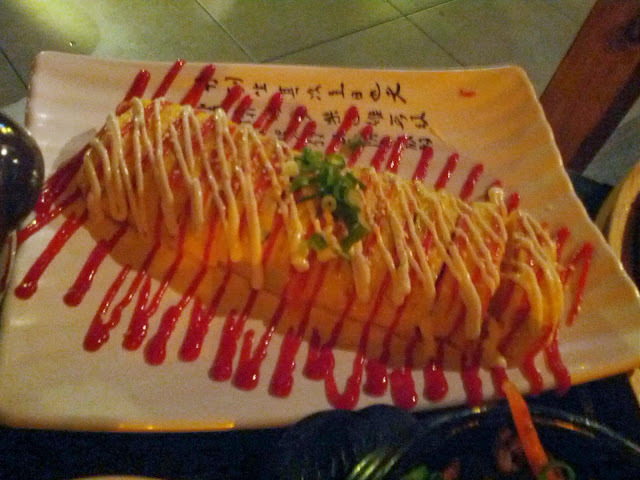 A quick catch up lunch with a friend brought us to Izakaya Den. 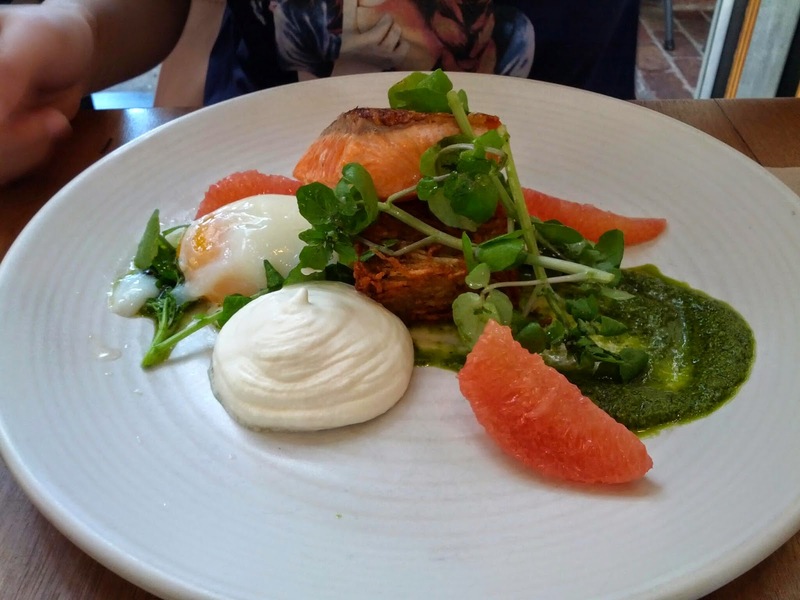 We take a look at the a la carte menu but end up settling on the 'Den Classics' lunch special - $38 per person, two choices for each of the four courses plus a drink. We order different dishes and share, so end up with one serve of everything. The green tea is served in a cute little glass teacup with a round bottom. It doesn't hold much, but with an individual pot each, it's fine to just pour as you go. First out are the fried crunchy bites. 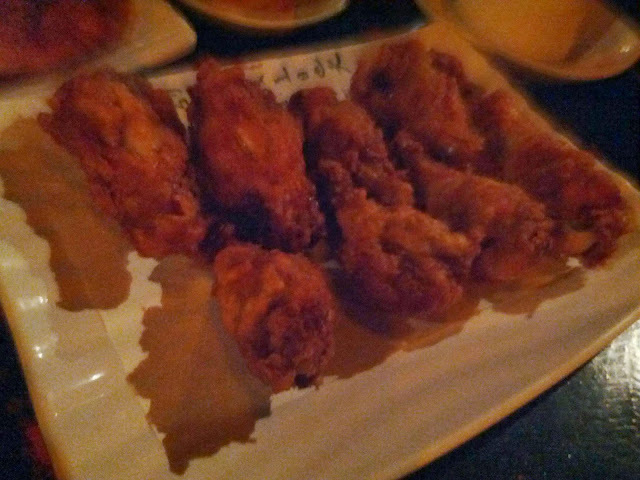 Two of Izakaya Den's must-try dishes - the den fried chicken and the sweet corn kaki-age (fritters). 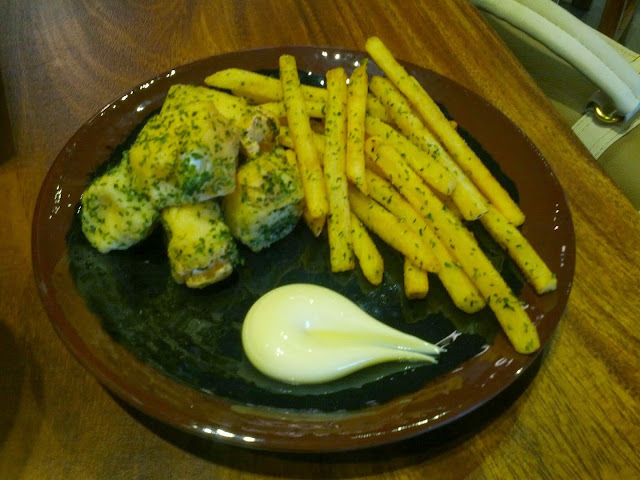 The den fried chicken is coated in a light batter and deep fried, served with a wedge of lemon and some mayo on the side. Crispy on the outside, still moist and tender on the inside. 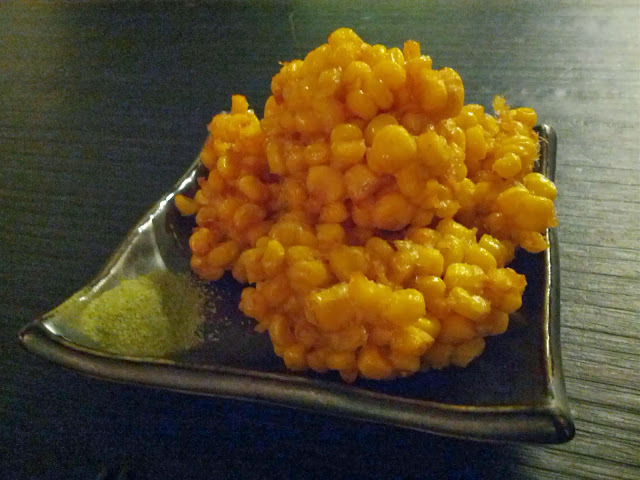 The kaki-age is as good as ever. I first tried this dish as the Taste of Melbourne 2010 and again when I visited the restaurant on one of my Melbourne trips. It's the perfect combination of juicy corn kernels suspended in a light batter and served simply with some green tea salt. I must say, there really is something special about the green tea infused salt that really lifts the flavours of this dish. Up next are the cold dishes - a tuna tataki and kingfish sashimi. 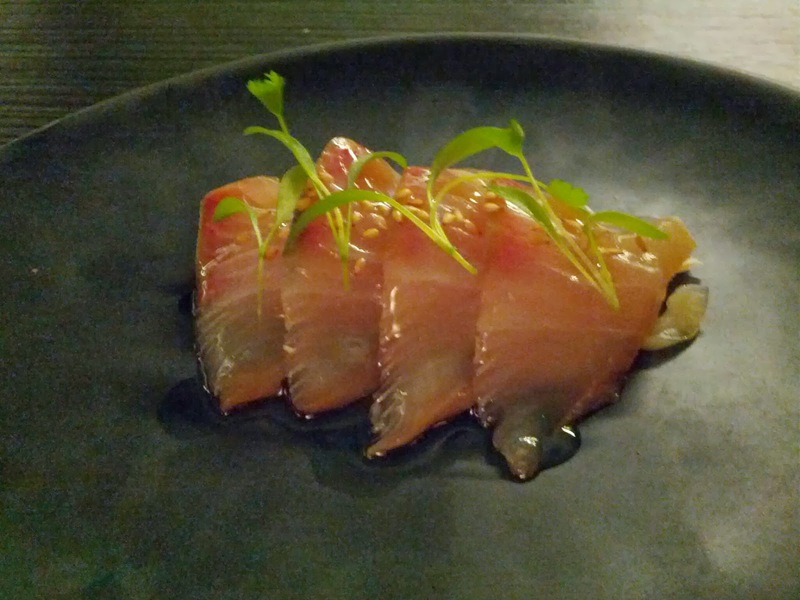 The fish is super fresh, and the dressings are light and simple, but work well with each type of fish. Perfectly cooked so that it flakes away at a slight touch. Good seasoning with a side of pickles. Pork belly is always a fun one for reviewers. The crackling was crispy, the meat tender. The only downside was that the fat hadn't been rendered properly and so was a little too oily for my liking. 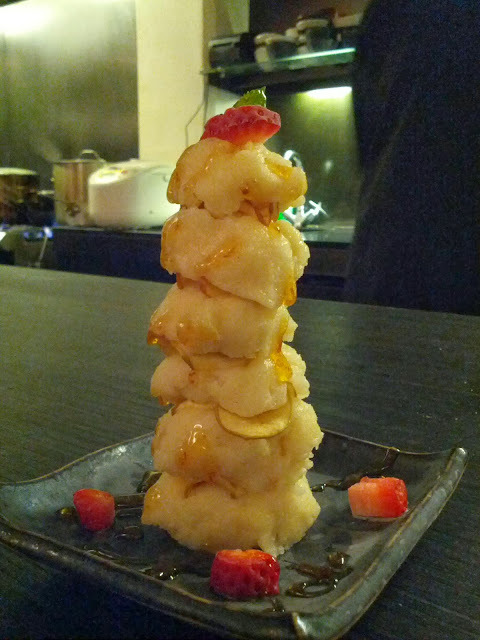 This dessert was brilliant - like a mini apple pie stack. Light crispy filo parcels of stewed apples, drizzled with a light syrup and served with a some fresh strawberries. 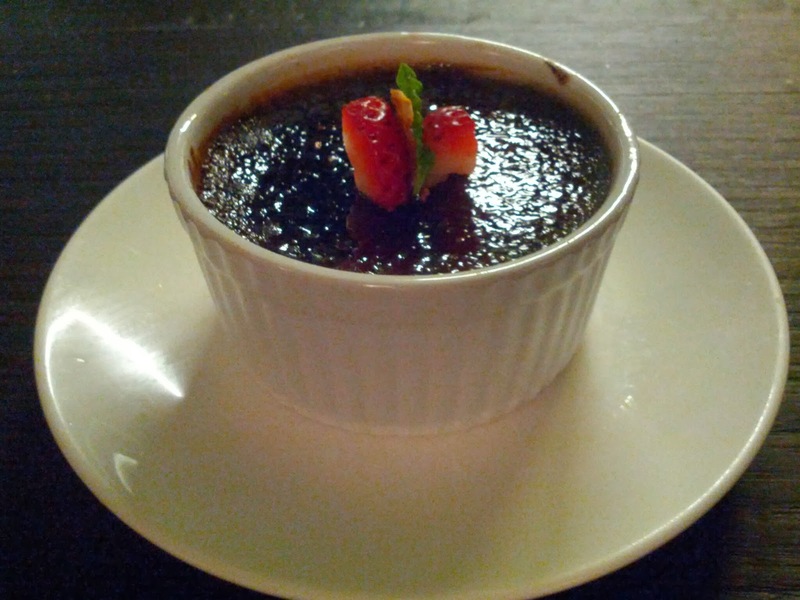 And creme brulee. Nice hard toffee crunch on the top, creamy brulee filling. For $38, there's definitely plenty of food. Perhaps a little pricey for a 'quick lunch', but definitely value for money if you have the time to sit back and enjoy it! Who thought such a mission would be so hard to achieve! 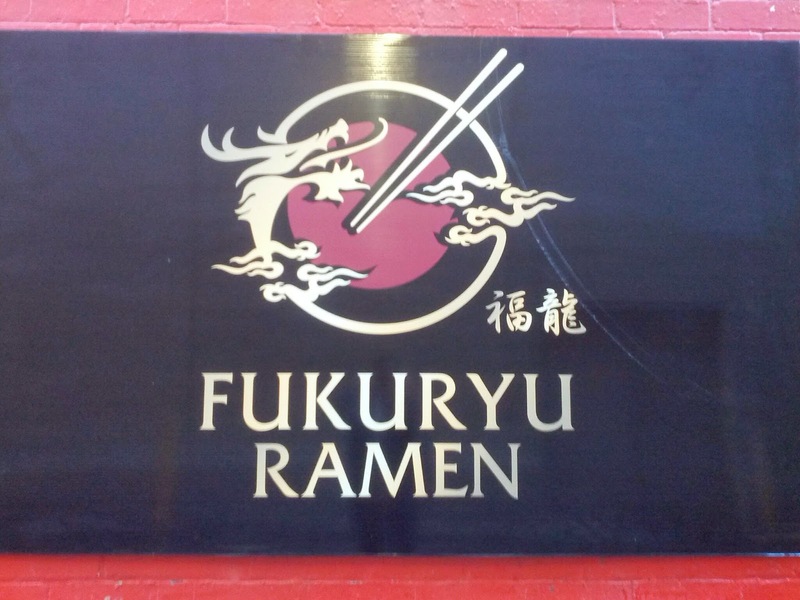 After traipsing across the city and finding the usual suspects (Ba'get, FOB Rolls and Roll'd) closed, we happened across this little gem tucked away between Little Ramen Bar and Shanghai Street on Little Bourke Street. Maybe it's been there a while, maybe it hasn't, but I didn't notice it until today. 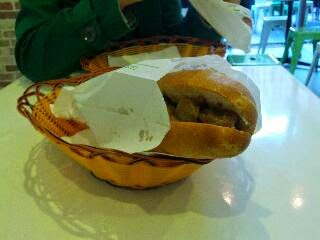 Having worked up an appetite for banh mi, and only banh mi, we decided to go in. There's a good selection of Vietnamese bread rolls - traditional, roast pork with crackling, pork chop, grilled chicken and a few others. 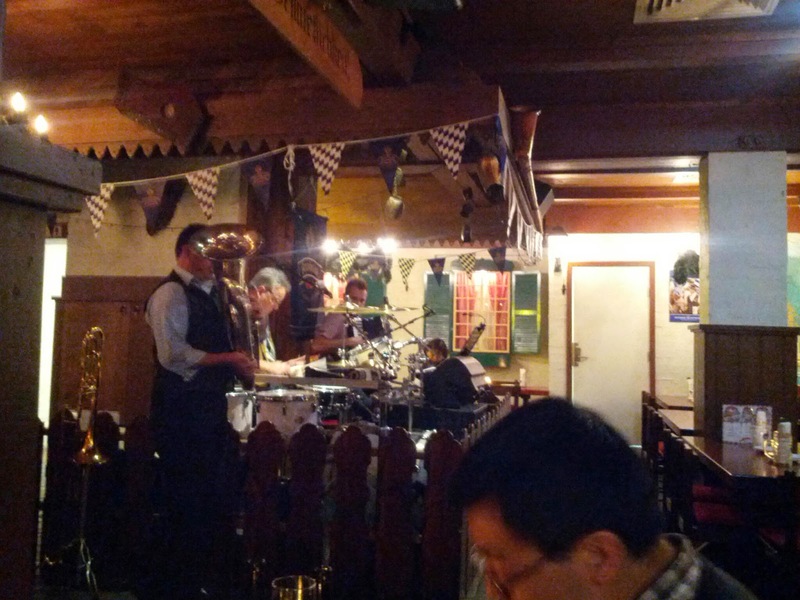 The roast pork wasn't quite ready yet, so the man behind the counter recommended the pork chop. So we decided to give the pork chop a go and I think I've found a new local favourite. The pork was sweet and juicy, with a good lemongrass flavour through it. The bread was fresh and crusty, the pate smooth and creamy, and the salad of pickled carrots, cucumber, coriander and chilli brought a real hit of freshness. The place itself isn't fancy. A little more than a hole-in-the-wall, the place runs quite efficiently. In addition to the banh mi, there's also pho and a couple of other dishes on the menu. Will be back for the roast pork with crackling! 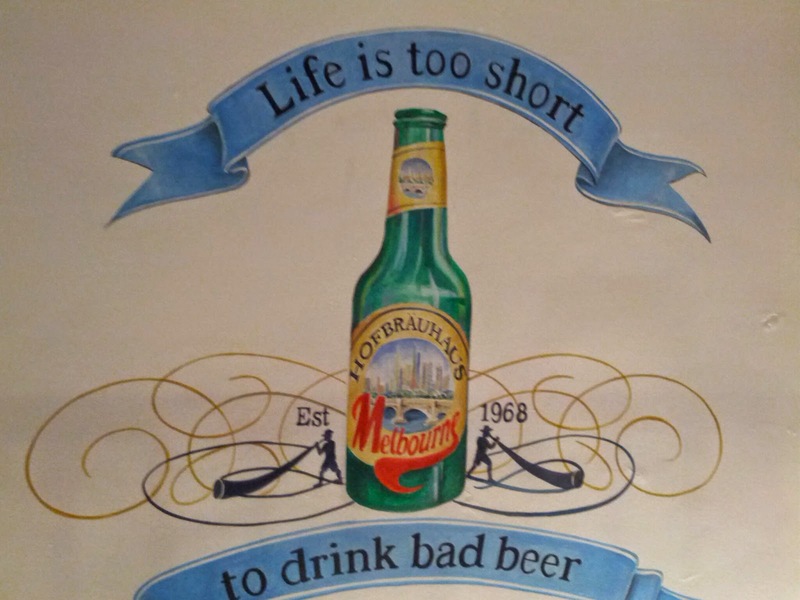 Hofbrauhaus has been on my list for many many years, but only this year did I finally get my act together to try it out. 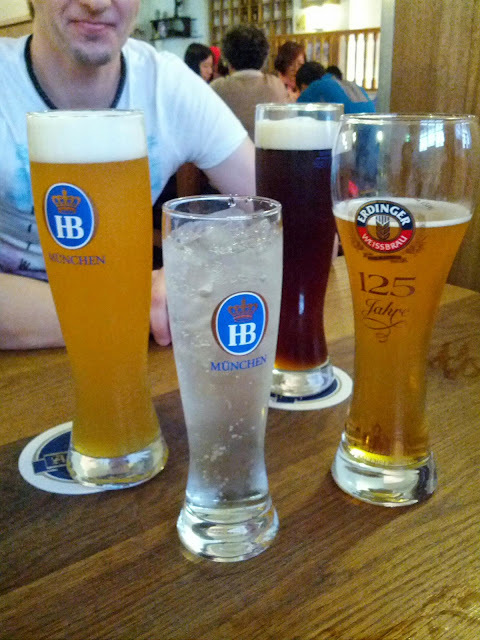 It helps when you have a German friend who occasionally craves a German feed! 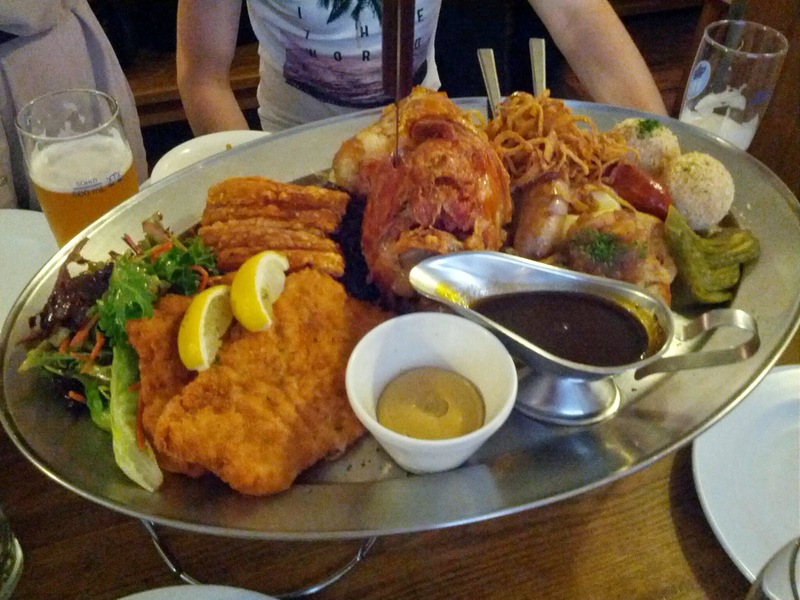 When you think German food, what comes to mind? Schnitzel? Pork knuckle? Sausages? Sauerkraut? How about all of the above, and much much more. 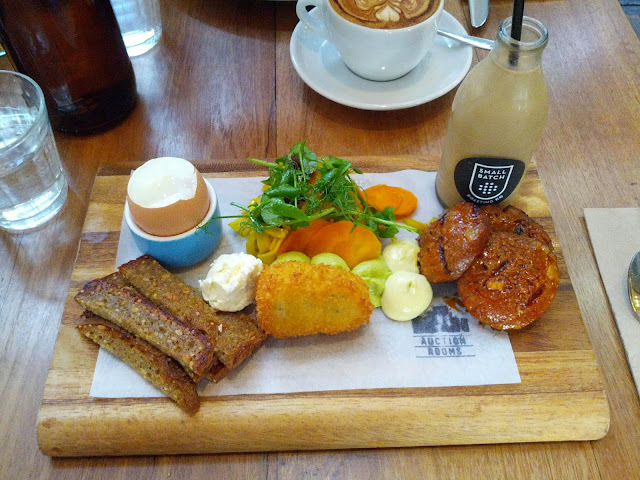 That's what you get when you order the HB feasting platter. Designed to serve two people, but really more than enough for four, the platter consists of a massive pork knuckle, crispy pork belly, sausages, schnitzels, sauerkraut, red cabbage, mashed potatoes, potato dumplings, bread dumplings, mustard and gravy. Significantly more food than could be consumed by two people! The pork knuckle is amazing. A huge hunk of tender meat served on the bone, crispy crackling on the outside, and a nice sticky gelatinous layer between the crackling and the meat. 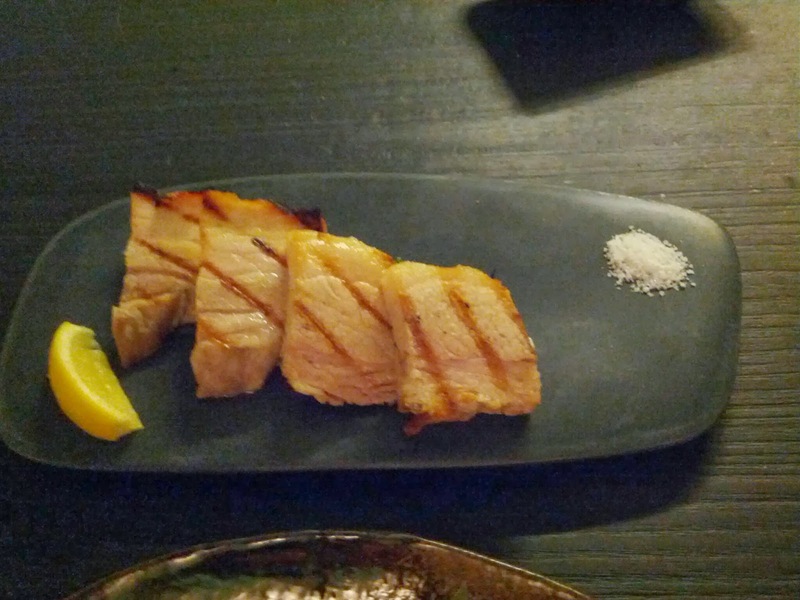 The pork belly is equally well done, but the flavour is less intense. The schnitzel is as it should be - golden and crunchy on the outside, thin slices of chicken on the inside.And you most definitely need the sauerkraut and red cabbage to cut the richness of all that meaty goodness. 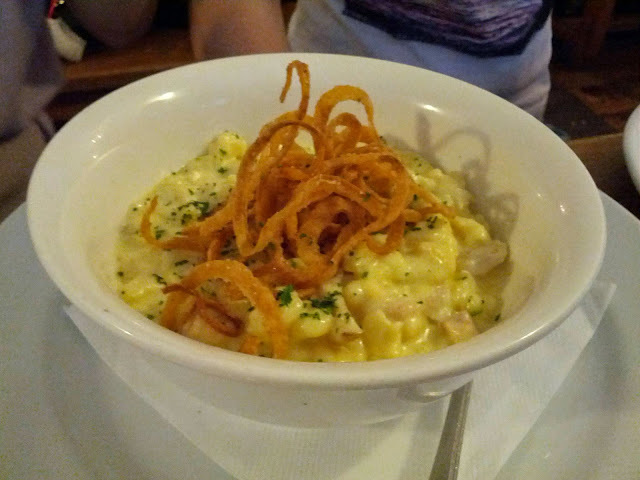 We order a side of spaetzel, which is really a German style of mac 'n' cheese. Crispy onion rings on top, al dente pasta and a creamy carbonara like sauce. It's a bit rich so it's a good thing we're sharing. 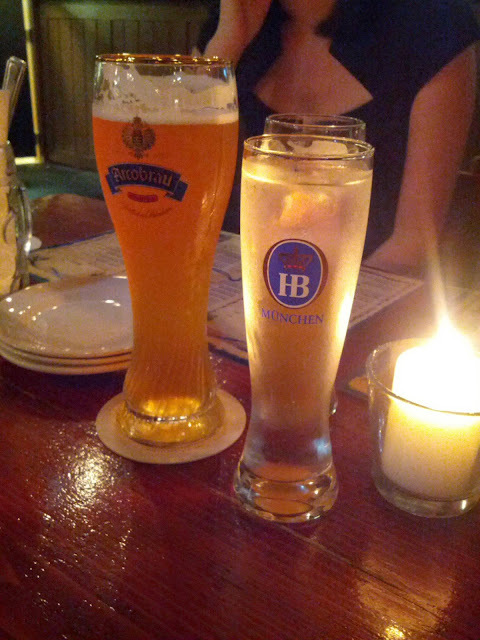 And it wouldn't be a proper review of HB if I didn't mention the huge beer menu that certainly pleases my German friend. The decor is simple, with long wooden tables and benches upstairs, smaller tables downstairs. Mid-week is probably the best time for a proper feed as it can get quite loud and rowdy on a Friday night. Service is relatively quick for the amount of food on the platter, and the waitresses are friendly and polite. If you're looking for value for money, Hofbrauhaus fits the bill! 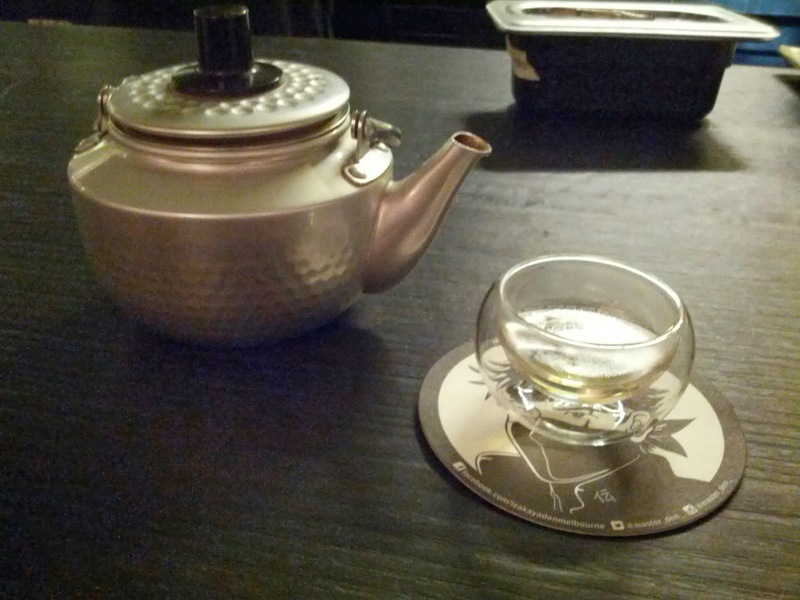 Finally tried out Joomak on a friend's recommendation. Joomak is located just north of Melbourne Central and can be a little hard to find...it's hiddne down some stairs in the basement of the building. The inside has an 'izakaya' type feel, despite not being Japanese. 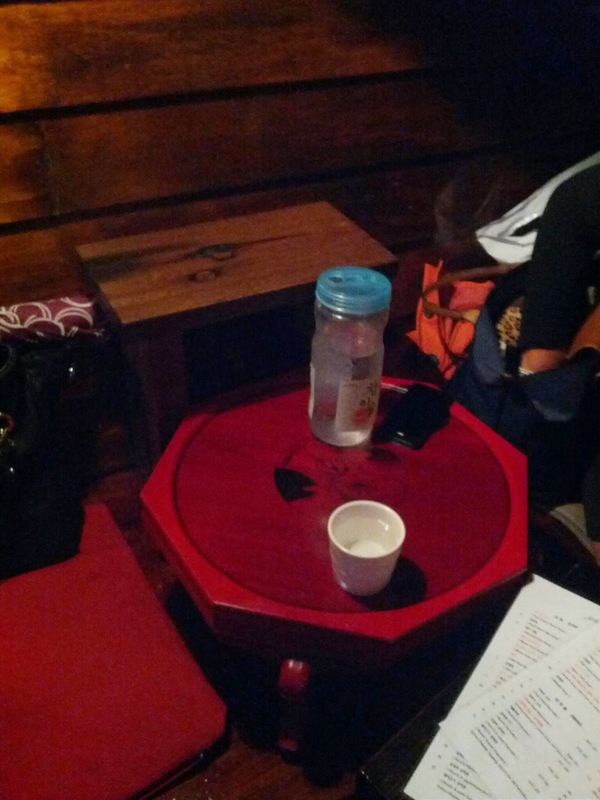 Just inside the entrance there are two small tables designed more as seating for drinks than for a proper meal. 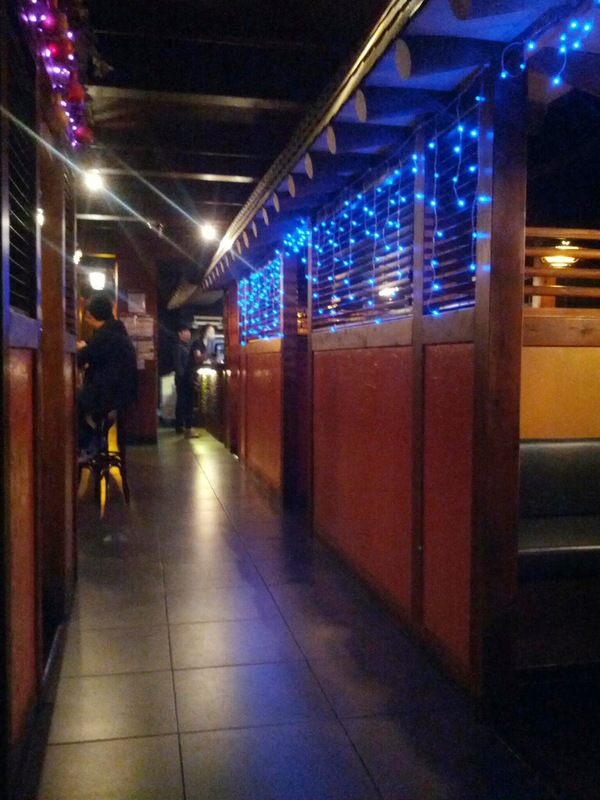 Private booths line the hallway leading into the main restaurant area, with round wooden tables and wooden stools on one side, and a long bar down the other. We haven't booked, so get seated at the small tables to make our orders before eventually being moved to a proper table that frees up just in time as our food arrives. We get a little carried away with the ordering, partly because Teapot is under a misapprehension that 'share dishes' in every other cuisine are as small as they are for Spanish tapas, and partly because I just think she's super hungry. 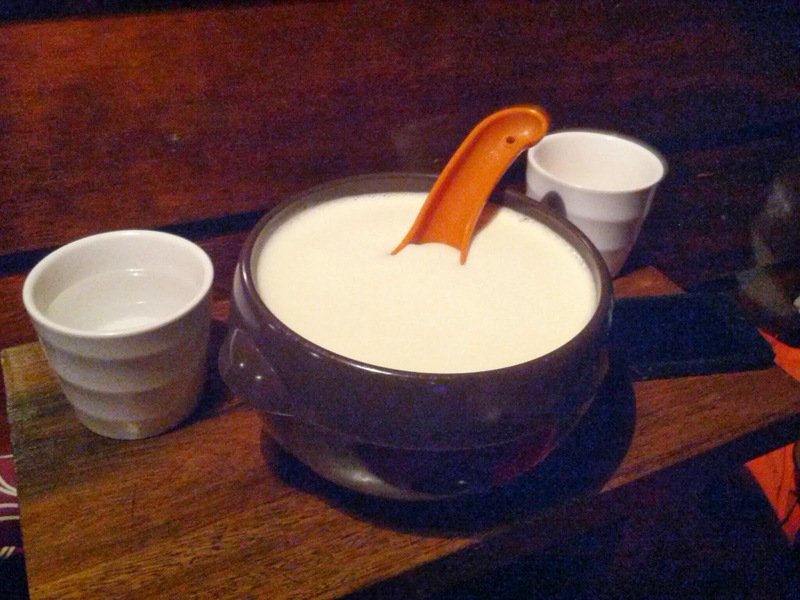 And to top it off, we order two mango rice wine cocktails, which end up arriving in a giant bowl with a ladle and two small rice bowls to drink from. The 'corn and cheese' is the first to arrive. Kernels of sweet pop-in-the-mouth juicy goodness are piled onto a miniature sizzling plate, loaded with mozzarella cheese and grilled until the cheese melts all over the corn. It may sound a little weird, but the cheese is stringy like on a good pizza and works surprisingly well with the fresh bursts of sweetness from the corn. The fried chicken is crispy and well seasoned, but it's just fried chicken and nothing Korean about it barring the two sauces on the side - a soy garlicky one and a sweet chilli. The soy garlic does the job for me. The pancake is crisp and not too heavy. 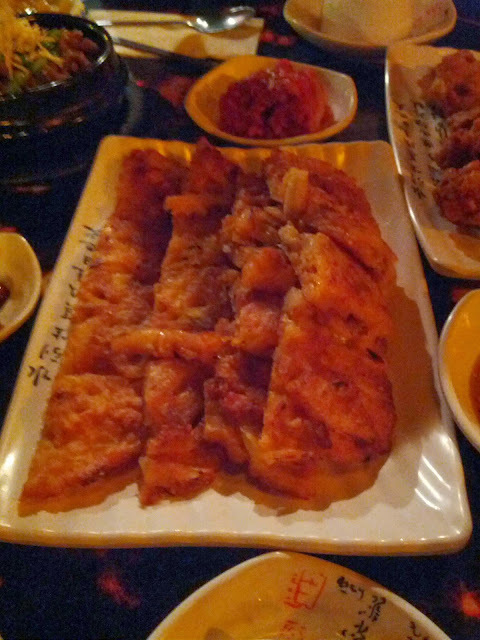 The kimchi flavour seems to have been lost in the batter so it tastes more like a cabbage pancake than kimchi. The pork is used sparingly and doesn't have much flavour. Not the greatest pancake I've had, but eating it with the complimentary side of uncooked kimchi does compensate for the missing flavour. 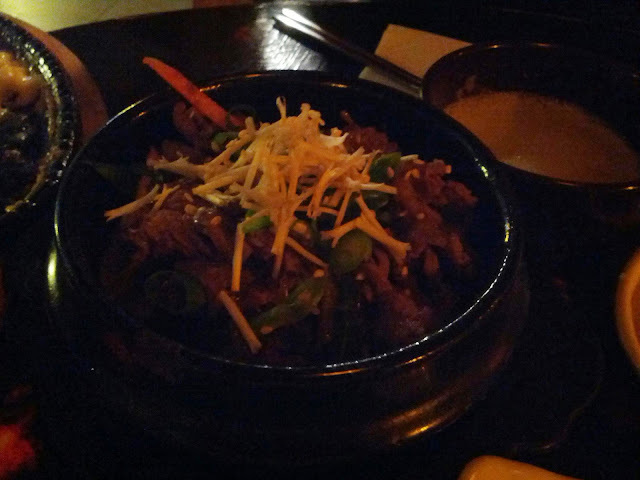 The beef bulgogi is served in a small clay pot like the ones used for single serve soups, rather than a iron sizzling plate as I'm used to. The beef is still thinly sliced, and sits in a light bulgogi broth with onions and some potato noodles. 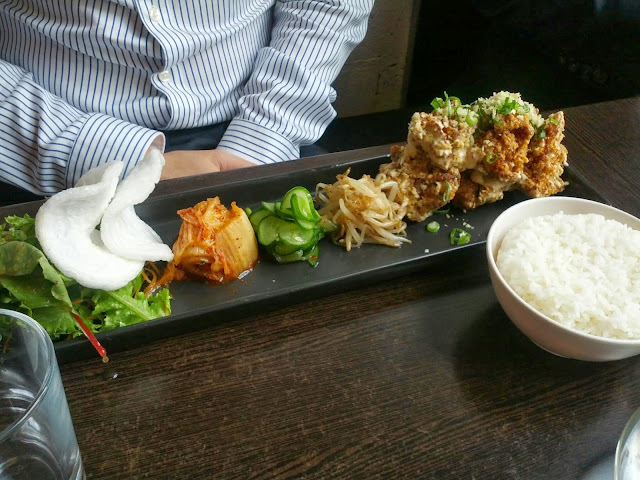 I find it's a little too soupy for my looking, particularly as it's lacking that smokey chargrilled flavour and aroma that is typical of Korean BBQ (and which could have been achieved by serving on a sizzling plate). The cheese egg roll is the least impressive dish for me as it just tastes just like an egg pancake, stuffed with cheese and rolled up, then covered with tomato sauce. There's nothing special about it for me, a little on the bland side, and I tend to be more critical when ketchup is used as a major seasoning base. Service is reasonably quick despite it being very busy. The wait staff are polite, friendly and responsive. The food is good and that mango rice wine is definitely worth a revisit. Fukuryu Ramen is a new addition to the Melbourne ramen scene. It's only been around for three weeks so totally worth a visit while they're running some cool promotions. 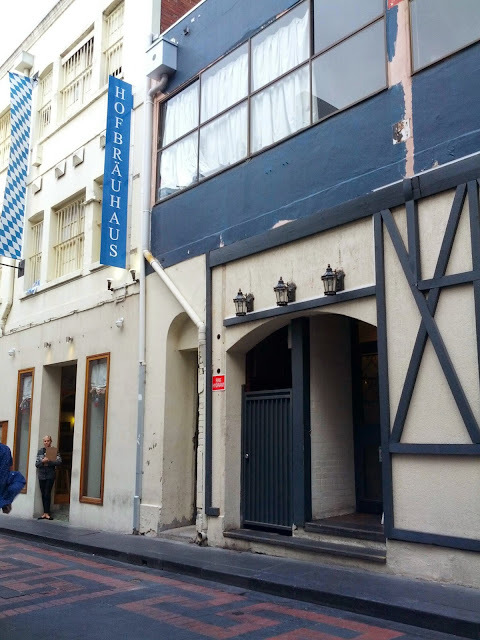 Located at the corner of Corrs Lane and Little Bourke Street and up some fire stairs, Fukuryu is a trendy modern eatery. The menu is pretty simply - four classic ramens (tonkotsu, miso, shoyu and shio) and three 'modern' varieties (vegetarian, dry oil and 'tam tam'). 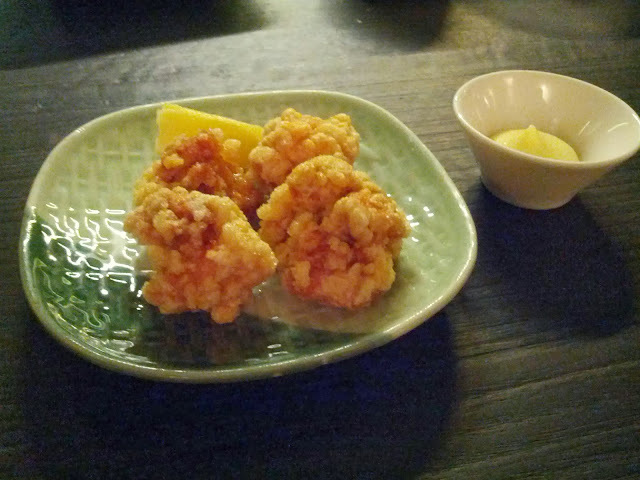 There's also a couple of izakaya style snacks like karaage and gyoza for those snack-inclined. 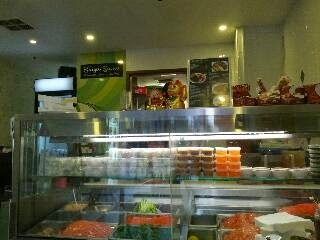 Order at the counter then pick a table and wait for your food to arrive. It's still early in the life of this new spot so they're having a smackdown of nori chips and nori tofu. 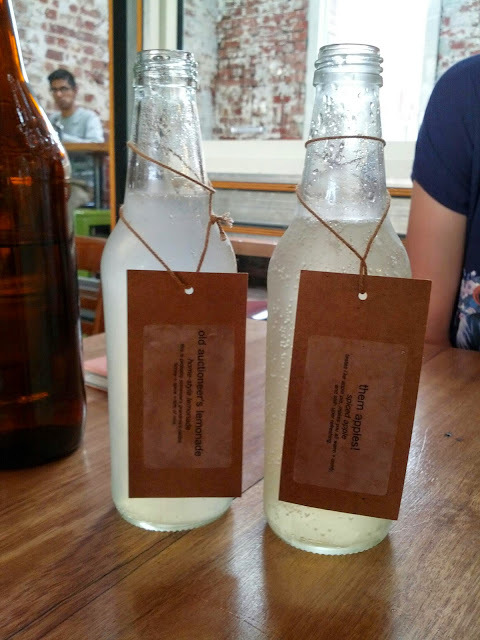 Complimentary samples of both for customers to vote on. It's a little like being on an episode of MasterChef or MKR! Both are tasty - the nori really adds a pleasant sublte seaweed flavour to both deep fried snacks. The tofu is slightly crispy on the outside and airy on the inside. Little puffs of tofu-goodness! Not quite crisp enough and there isn't enough seasoning. The chips on the other hand, are crunchy, well-seasoned and a delight to eat. No guesses which one I voted for. My miso ramen is really good. 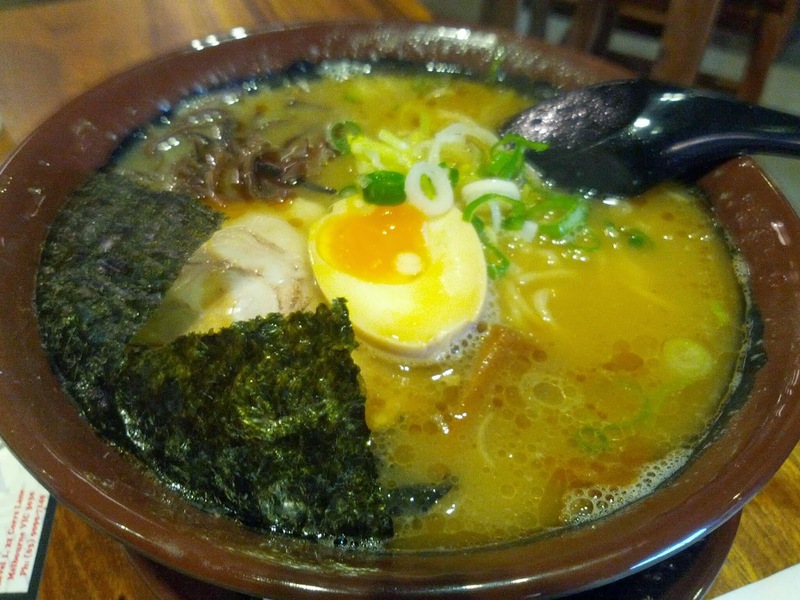 Nice springy ramen noodles and slices of pork are drowned in a salty miso broth. The half boiled egg still has it's gooey yolk. 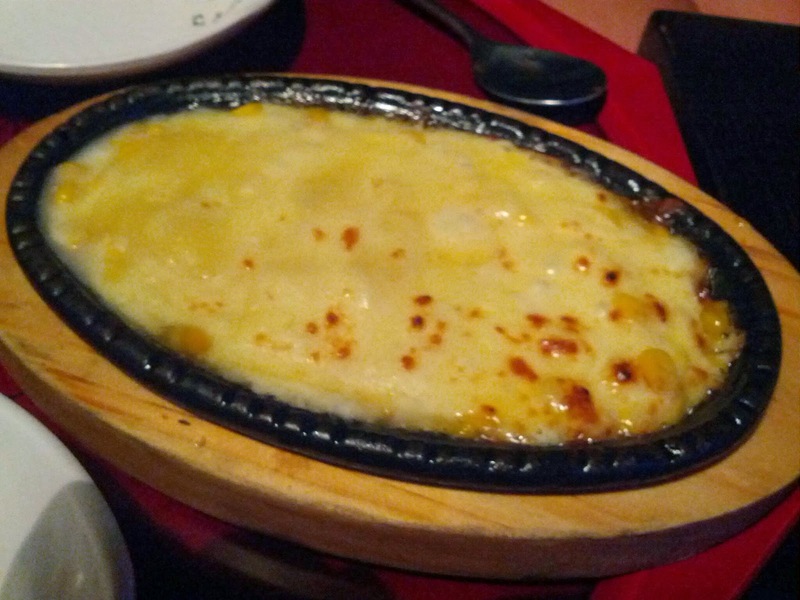 And my favourite part - the corn tastes like it's been cooked in butter...yum! 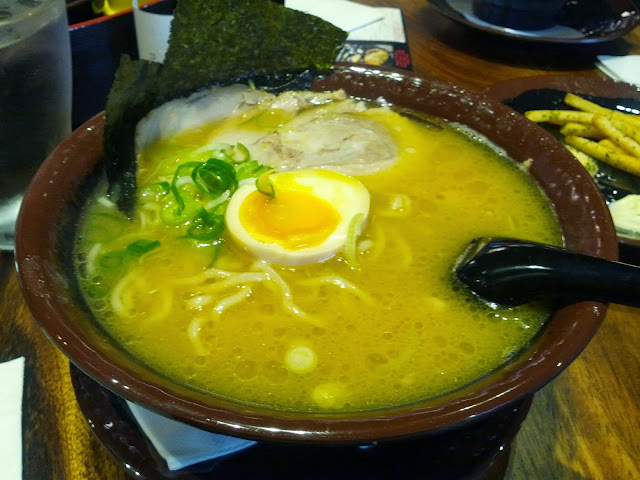 The tonkotsu ramen is also a hit, but lacks the corn. Too bad for H.
As soon as our dishes are cleared away, our complimentary ice cream is brought out. The ice cream is soft and creamy - more like soft serve than ice cream or gelato. 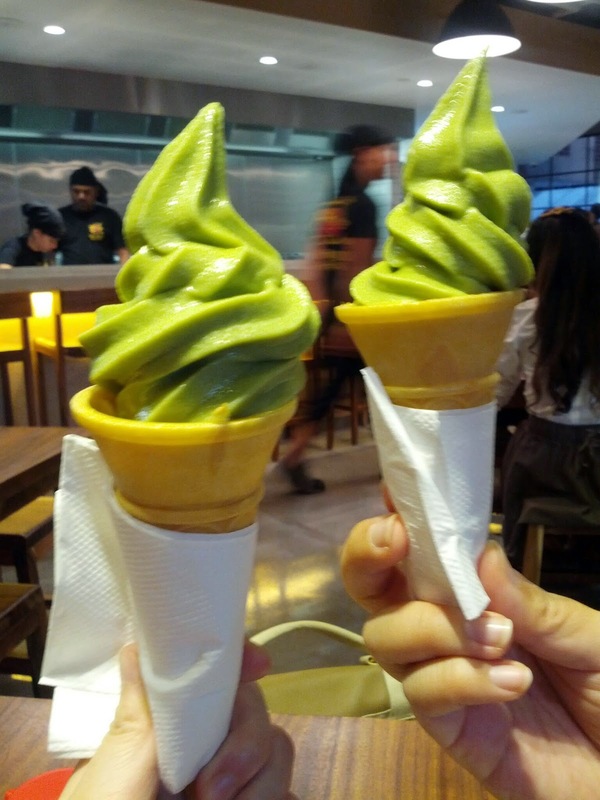 There's a strong matcha flavour through it and we're told it's made on site. Such a good way to end a meal! The ice cream promotion ends 7 April, so get in while it's free! Basically a three course meal at just $9.80 each - it is a very good Friday night feed indeed. What was previously known as Cafe de Kikaku recently changed it's name to Supermax Eatery. Being a big fan of the former, I had rather high expectations for its replacement, particularly as it continues to serve the same cuisine. 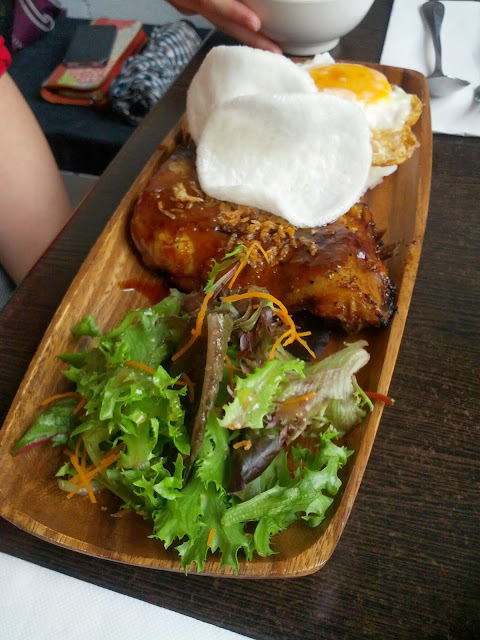 The beauty of this place is that it's one of the few decent eating spots on the Vic Harbour side of Docklands (Pok Pok and Nine Elephants are two of my other recommends) and only a few minutes walk from work. 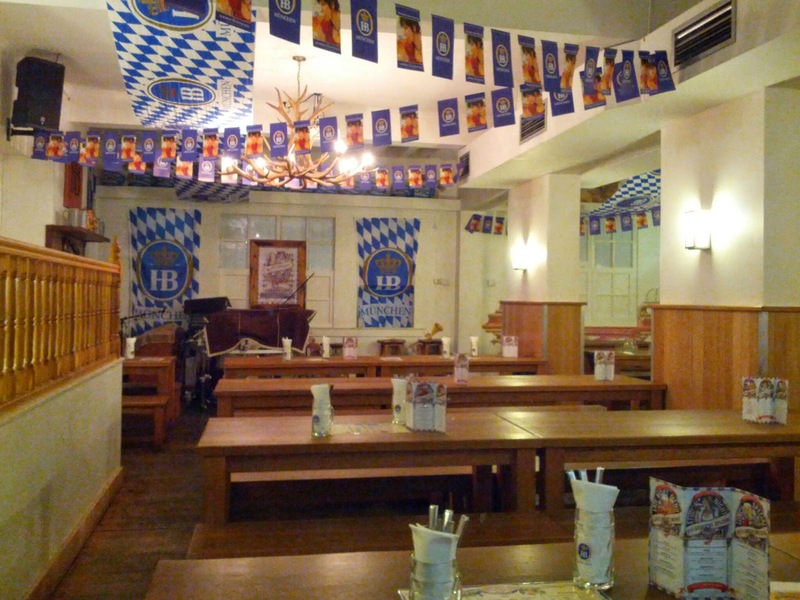 The interior hasn't changed much since my last visit. 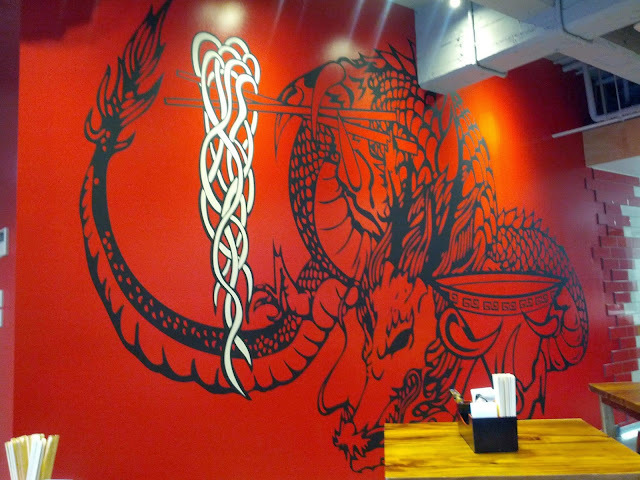 One of my favourite quotes still adorns the back wall: "Sleep until you're hungry; eat until you're sleepy". 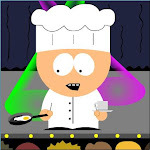 The menu has changed in content but retains that quirky, almost fusion style of food. The boys are drawn straight to the KFC (Korean fried chicken) burger but unfortunately 1pm is so late that they've run out of burgers already! Luckily the KFC is still available as a main dish served with rice. I opt for the galbi Angus short ribs, which are fall-off-the-bone tender and have a subtle smokey chargrilled aroma, while the other two go for sticky honey chicken. 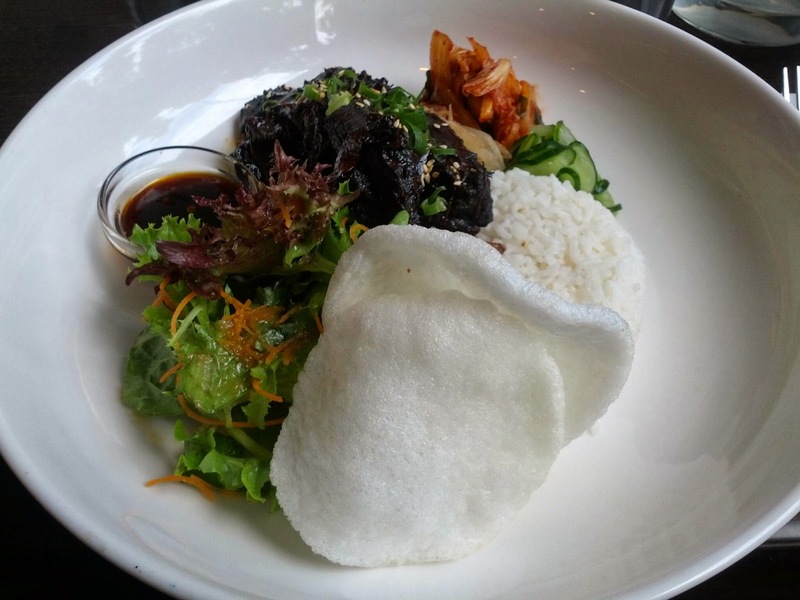 The dishes are served with rice, salad, pickled cucumber and kimchi. And to finish off - if you're into obscure ice cream flavours, you'll find a good selection including sake and wasabi here. As can be seen from the above photo, the ice cream comes in a cup, on a cone, or in an ice cream burger - your choice! We didn't get around to trying any, but the blackboard certainly made us curious. Too bad the weather's start to cool down, this would have been a nice escape for ice cream in summer. Supermax's food is just as good as the predecessor's, everyone is full and happy and the proximity is most definitely a bonus.